Please contact the school if you would like to have an item placed on the agenda! Please click here to access our School Improvement/Title 1 plan. 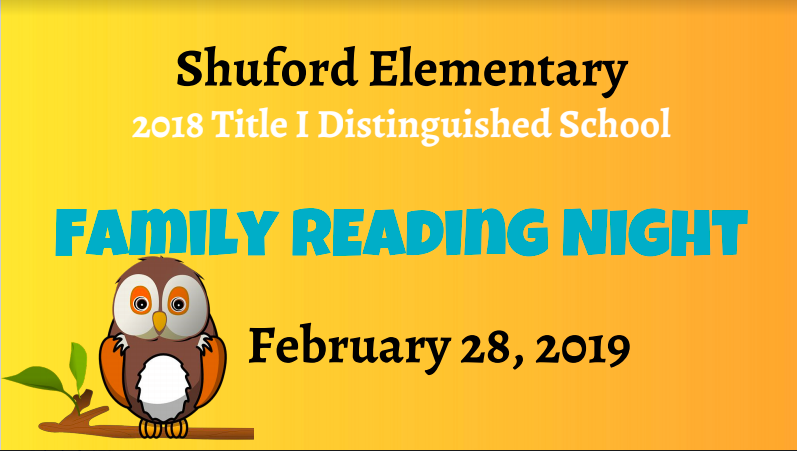 Please click here to view Shuford Elementary's Parent Involvement Plan. Shuford Elementary School is always more than happy to have parents and guardians involved in their child's education. Each grade level will take field trips throughout the year so please be sure to check your the teacher's Canvas pages for additional field trip information and dates. We would love for you to come in and volunteer or take part in some of the wonderful opportunities we have going on this year! Please visit our Calendar to see all of the amazing opportunities! To view the Shuford Title 1 Annual Review-2017 please click on the document below!